When the holidays start approaching, many webmasters begin searching for those unique website elements that add the festive spirit to their web pages, such as Christmas lights backgrounds. 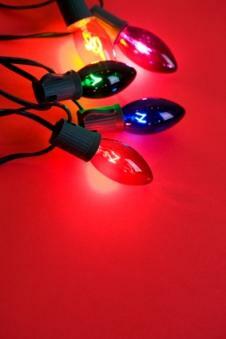 Using a colorful background, such as Christmas lights backgrounds, on a website can be a very particular matter. The background color and imagery of a website can have a tremendous influence on the look and feel of the overall page. This is why there are several important factors to take into account when you are choosing which background image you would like to use on your web page. Always consider the following items when browsing background images for your web page. Choose a background color or image that contrasts well with text color, and won't cause the reader to suffer from eye strain. Choose an image that has colors which induce the emotions that you would like the visitor to experience when they visit your website. Some examples include red for power and strength, yellow for joy and happiness, or blue for tranquility and comfort. Choose simple designs with one primary color and one complimentary color for the best impact. With Christmas light images, you may go with three colors, but more than that will make the web page appear messy and disorganized. Remember: Less is more. Choose a background image that is very simple and elegant. Stick with a light colored background with dark text. It is generally much easier to read and preferred by most web travelers. Make sure the background applies to the content. Don't use Christmas lights just because it's the holiday season. Make sure that the content of the web page where you are using the background image applies to Christmas or the holidays, or visitors will be distracted and confused. Websites with content that focuses on the holidays are very popular during the holiday season at the end of the year. A well-designed web page with a beautiful background and compelling content will draw visitors back again and again. The key is to make sure that the background image with Christmas lights is used in a way that is low-key, welcoming, and adds to the aesthetic quality of your web page. Softer, more "faint" images are ideal for use as a website background. They are generally less bold, and allow the text and content of the website to take center stage, while also creating a pleasing atmosphere for the reader. These websites generally offer multiple image choices, always go for those with softer colors and faint images. ChristmasTime Clipart features four pages of holiday clipart that you can use as a web page background. The one that clearly uses Christmas Lights reads "Happiness Joy Goodwill Love Peace Prosperity" and has a strong of lights at the top and a blue background. The best use of this background is with a secondary table, or CSS section, using a lighter blue background for the text. The other images on this website feature other sparkling lights that would also appear to visitors as holiday lights. Webweaver's Free Clipart offers very well designed backgrounds, most of which use very faint images on a white backdrop. Most of these are designed to be "tiled" to your background. 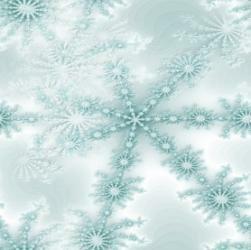 This site offers "Christmas lights on a white background," but it also has a 4 page archive of other beautiful Christmas background designs. Editing MySpace has unique backgrounds that are specifically for the kind of designs MySpace users like to use. A few of these backgrounds feature some Christmas trees with Christmas lights, as well as backgrounds featuring Christmas decorations. Some of these are very bold designs, but most are lightly colored and would make excellent images for any webpage or MySpace page design. FreeCraft Unlimited has just a few designs, but the great thing about this collection is that you have a choice between the bold or the soft design. One of the designs is a great tree with multicolor Christmas lights. Hellas Multimedia offers a 15 page collection of holiday backgrounds sorted by the dominant color in the background. Click on "Blue Christmas Backgrounds" and you'll find a variety of holiday themed website backgrounds, including a number of sparkling light designs. However, this older method has gone the same way as plaid pants and leg warmers. People don't use it anymore. This old approach only allows a web designer to designate the background for a page "body" or that of a table within the page. The above code will lay out the image in a grid pattern, repeated across the page. It is possible to set a single background image without repeating it by using " background-repeat:no-repeat;" instead of setting it to "repeat."